Unity pulled off a masterstroke when it signed up Stuart Pearce to help 'England's worst football team' in Direct Line's 'Football Fix' campaign. The award sponsor is Kantar Media. As evidenced by having a second campaign – #merryfixmas – recognised as a finalist, Unity is clearly doing something right with its work on Direct Line’s ‘fixer’ proposition. The agency identified its latest opportunity in January 2015, when Longford AFC was labelled England’s worst football club by the media, having lost every single game that season, conceding 180 goals. As Unity put it, "something was broken; something could be fixed". The campaign kicked off two weeks later when Longford struck a ‘deal’ for a new left back. 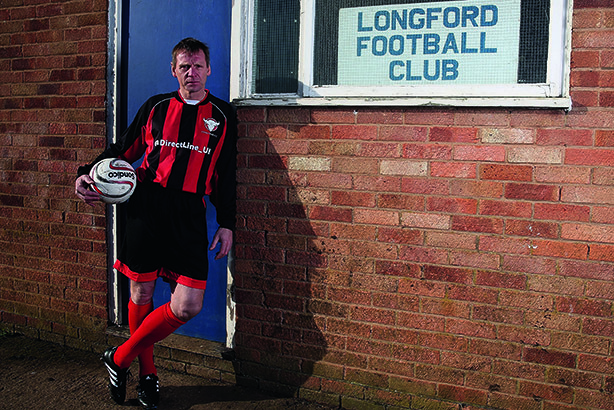 The signing was England legend Stuart Pearce, drafted in to fix Longford’s morale: ‘media gold’. Post-campaign analysis revealed a positive shift in attitude towards the brand, and the judges purred over the execution of a "brilliant", "clever", "creative" and "original" idea that "brought the brand to life".